Eating healthfully when you have a crazy busy schedule seems to be a recurring topic on this blog lately. Finding the will at the end of a busy day to make dinner before collapsing on the sofa for a little downtime is a struggle; let alone squeezing in the time to grocery shop in order to make said dinner. The struggle is real for all of us. 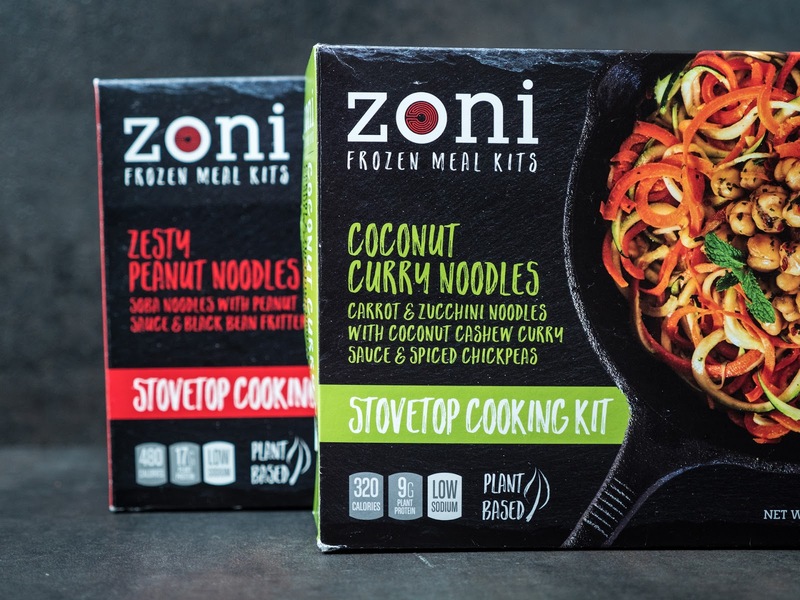 Zoni Frozen Meal Kits are here to help. Disclosure: I received two free Zoni frozen meal kits to facilitate this review. I received no other compensation for this post and the opinions contained herein, are my own and reflect my experience with the products. Your own may differ. I know you're probably thinking, frozen meal? How can that be healthy and taste good? I was skeptical too, but these are not your average frozen meal entrees. Zoni Food founders, Zoe and Nilofer, met when they were pursuing their MBAs at Yale in New Haven, CT. They started Zoni out of their own struggle to find healthy, convenient meals in a pinch that didn't break the bank. Zoni offers easy and quick meals made with real, whole ingredients. You know, food that's good for you. You won't find any fake, processed stuff in here. The pre-cooked meals are flash frozen to preserve nutrients and flavor. 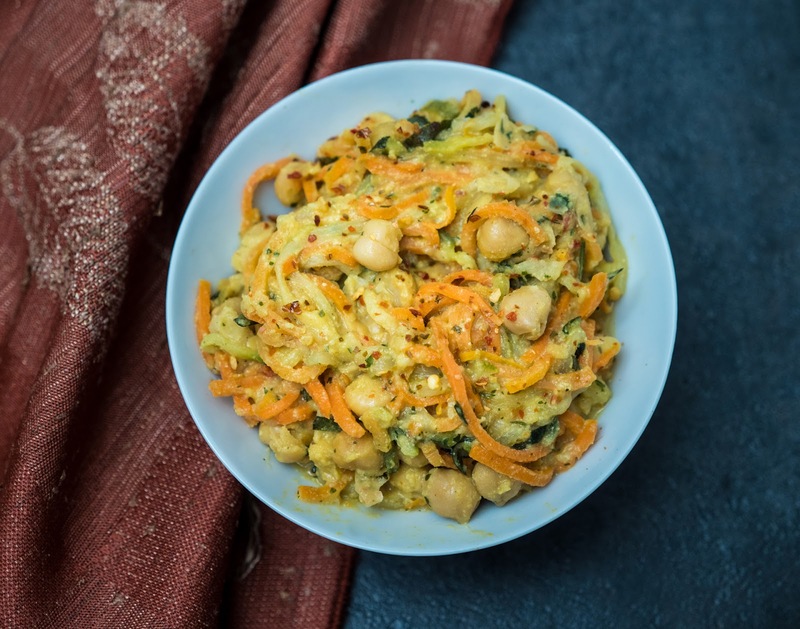 Each meal kit contains one serving of plant-based starches and protein along with a nut-sauce. All the meals are low sodium and certified vegan. The meals go from the freezer to the stove to your table in as little as 10 minutes. Really, it's that quick. All have to do is put a pan on the stove, open up the packets, and follow the simple three to four steps on the box. Renato and I tried the Coconut Curry Noodles and the Zesty Peanut Noodles. Both were incredibly easy and fast to make with good flavor. However, I did add crushed red pepper flakes to both meals for a little oomph. I liked that each meal box offers up ideas not just for additions like red pepper or fresh herbs, but also wine and beer pairings. At first glance, I thought the portions were a bit small, but looks were deceiving. The meals were surprisingly just right. We didn't leave the table hungry or overly stuffed. 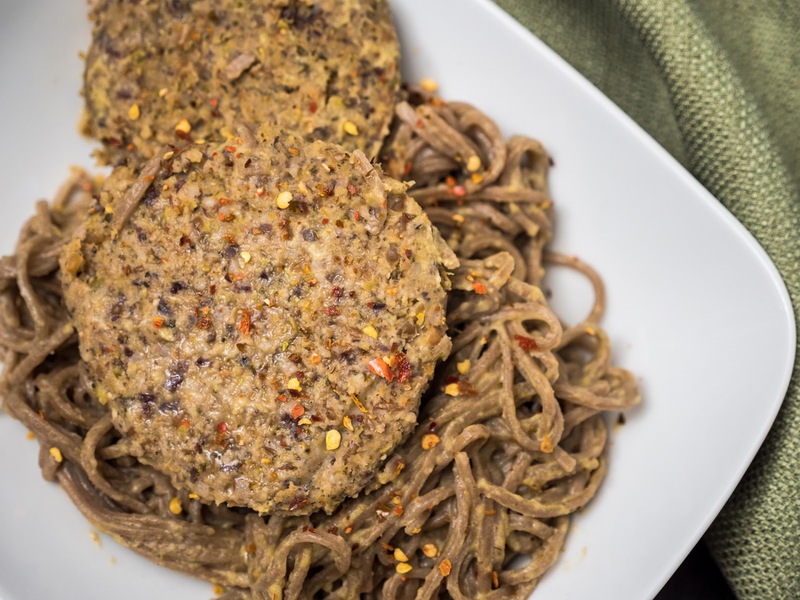 One minor criticism is that the soba noodles with black bean fritters were not particularly visually appealing; however, I don't think that should sway someone from giving the meal a try. Zoe told me they are working on ways to improve the look of that finished meal in particular. And honestly, I easily could have tossed in some fresh cilantro or parsley from the garden to give the dish a bit more color. Right now you can only find Zoni at stores in and around the New Haven area. More locations are coming soon. Oh, and the price tag is between $5.49 - $6.69 per meal kit. I was pretty impressed with not only the quality but also the flavor of these frozen meals. Definitely would be cool to keep a few of them in the freezer. My love is gluten free nice to see more options and local!